Every parent is pretty sure they’re failing at least 84% of the time. They aren’t doing what that mom does, or they’re too sensitive for their child or they’re not helping their child make friends. I get it. We research to death and do our best, and still feel like we’re getting it wrong most of the time. 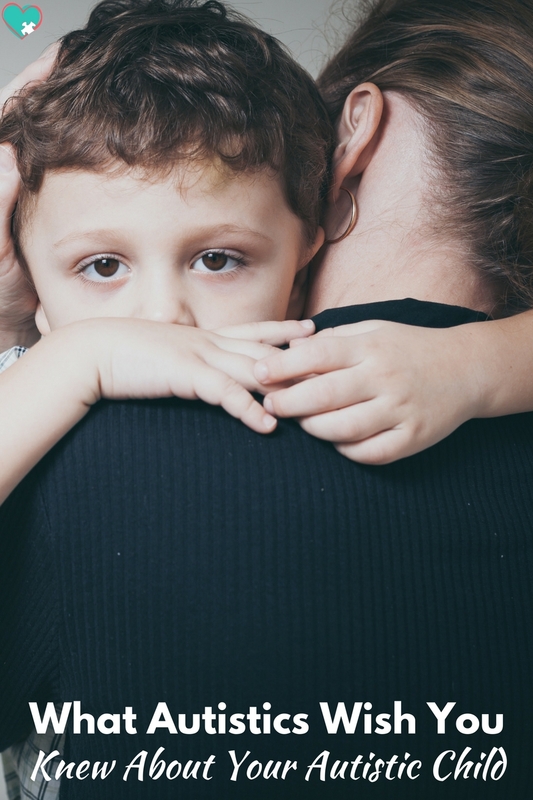 When you are raising an autistic child, there’s even more of that guilt piled on. 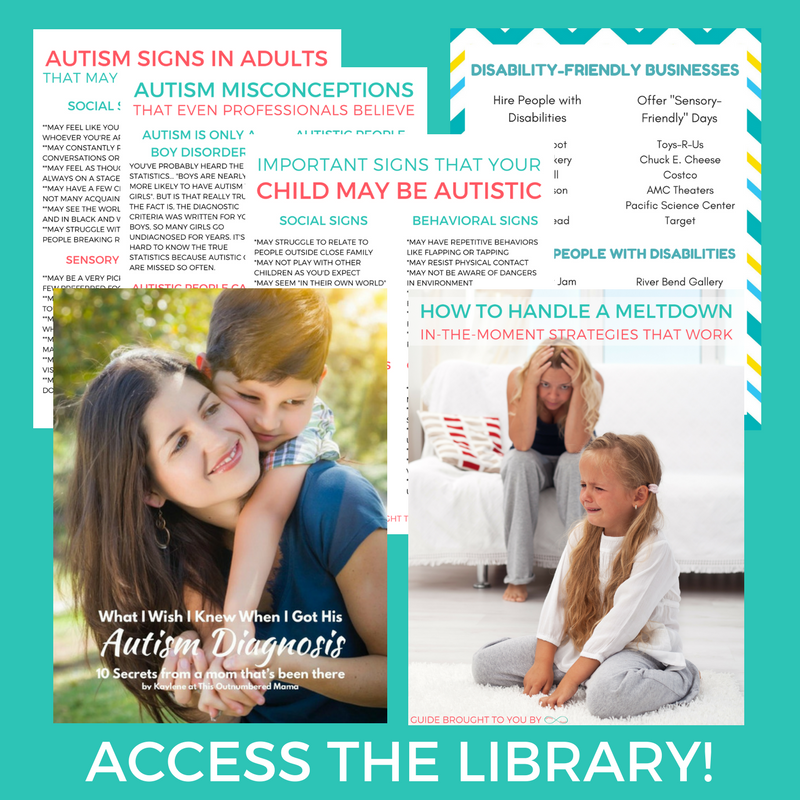 You need to use the right language, you need to learn about autism advocacy and more. 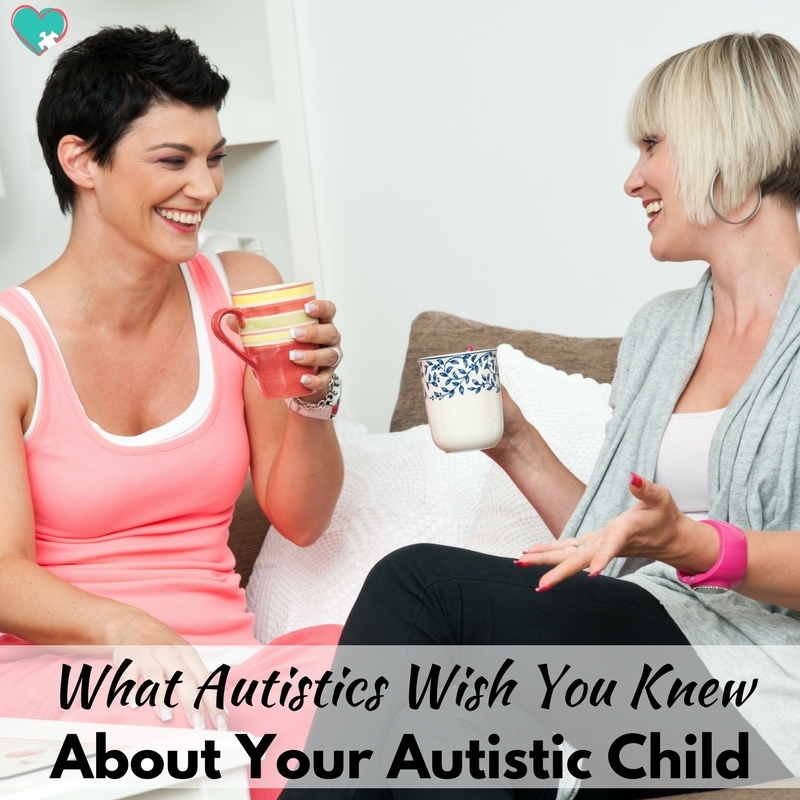 When figuring out raising an autistic child, the best advice will always come from disabled self-advocates, and this post will share what autistics wish you knew about your child. Getting the initial autism diagnosis can be scary for a lot of parents, and I totally understand. It’s overwhelming and definitely not what you planned. But I promise you, autism is not a bad thing. The autism doesn’t “steal your child”, it was there from the time they were born. An autism diagnosis helps you understand your child and get them the support that they need. An autism diagnosis won’t tell you whether your child will talk, have a girlfriend, or drive a car. Only time will tell for that, but the autism diagnosis gives you solid steps to take to help your child every step of the way. Lots of parents resist the advice that comes from autistic adults because they have often never had children themselves so they “don’t understand”. What autistic people wish you knew was that it’s actually the very opposite. We were autistic kids, so we do understand, very intimately, what it is like to be an autistic child. The fact is, your child will be an autistic adult one day. Hopefully they’ll be a confident autistic self-advocate. When that happens, they will likely agree with the widely held beliefs in the autistic community, so I think it’s more than worth it to try to understand and allign yourself with those beliefs now. The last thing you want is to spend their entire childhood working against what self-advocates fight for only to have your child become an adult and fight against all that you did. This might seem super obvious, but hear me out. Most parents know that their words become their child’s inner voice. You would never want to harshly criticize your child or tear them down with your words. But do you follow that same advice when talking about autism? Many parents make comments like they “love their child, but hate their child’s autism”. That can be extremely hard for a child to hear and can lead to some pretty severe self-esteem issues. Autism is a large part of what makes them who they are. They deserve to hear you celebrate and embrace their autism, not act like it’s something to be feared or hated. Acceptance. Acceptance. Acceptance. I know that we all hear about “awareness”, but let me tell you, people are already aware of autism. What we need more of, in our families and in our world, is true acceptance of autism. We need more people who see a person stimming and don’t think twice about it. We need more people who understand accommodations and do them without guilt trips or arguments. Once you’ve truly accepted your child’s autism, try to see the world through that lens of acceptance. Suddenly it isn’t your child being “bad” for loudly reciting their favorite movie scene in the grocery store, it’s shoppers being intolerant for giving nasty looks and rude comments. Suddenly it isn’t your child being “bad” for loudly reciting their favorite movie scene in the grocery store, it’s shoppers being intolerant for giving nasty looks and rude comments. Suddenly you aren’t apologizing for asking your child’s teacher to allow the accommodation in their class, you’re confident that your child deserves an education and isn’t harming anyone. Viewing the world through a lens of acceptance will help you become the best possible advocate for your child, at least until they’re old enough to begin advocating for themselves! 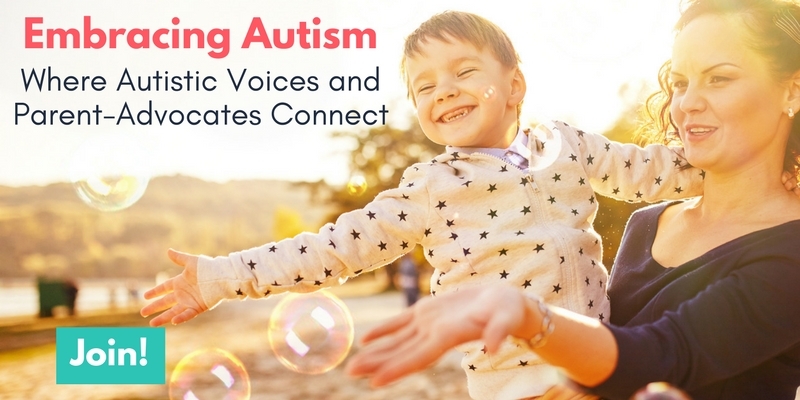 If you’re on this journey and trying to learn more about how to become the best advocate for your autistic child and truly embrace their autism, I’ve created a closed Facebook group just for you! In our group we bridge the gap between autistic self-advocates and parents of autistic kids, and we all make steps towards understanding, accepting, and embracing autism. Enter your info below to join the group today!